With twenty years of industrial and commercial heating experience Vos Heating Services was established in 2004. Our aim is to provide a professional and reliable service to all of our customers and we pride ourselves on the high standards of our work. 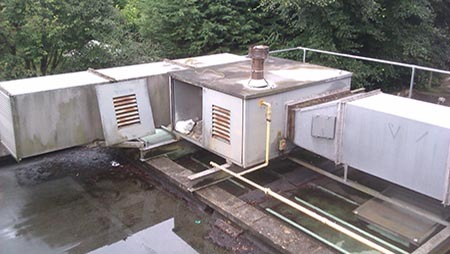 Trained in oil and gas appliances and registered with The Gas Safe Register and Oftec (oil). 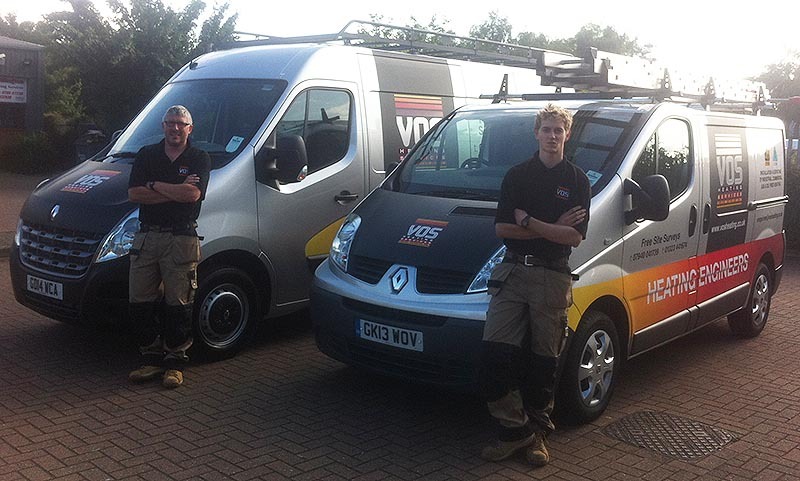 Vos Heating services is always up to date with the latest regulations, standards and health and safety requirements. Our commitment to providing you with the correct heating solution extends to our free design, consultation and free quotation service. Now the cold weather has finally appeared we are getting use of the new heating system you installed in the summer. Your advice was excellent as the system is working well and efficiently as we had hoped for. Your installation was excellent. Your very clean and quick job that included running the gas pipework from our meter to the new installation. The additional high level fan further down the warehouse is working well and circulates the warm air back down from the roof height into the lower areas of the unit. We are extremely pleased with how this has worked out for us and would recommend your services to other interested parties. I would like to say thank you very much for fitting our new industrial heater in our warehouse. You did an excellent job, advised us very well on the model to go for and quoted a reasonable price. You then were very accommodating when it came to the fitting of the heater, fitted it very well and then left our warehouse very clean and tidy. We would not hesitate to recommend Phil at Vos heating Phil assessed our needs and recommended a new system, He was friendly informative and didn’t try to push us into anything. We took the leap and invested in a new heater and even several years later we are still absolutely thrilled with the service and heater. Phil is such a genuine, honest guy a real pleasure to have around and he really knows his stuff. We needed to upgrade our 15+ year old warm air heating system based on a Powrmatic unit and Vos Heating was selected to carry out the work. 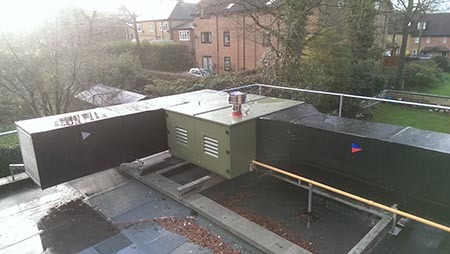 The system which is external to the church is situated on a first floor roof and involved replacing the heater unit and controls, plus renovating the trunking system etc which carries the warm air into the church. A particular complication of the job were that the one ton units needed to be craned over the top of the church. The installation went ahead without any problems or disruption to our normal day-to-day operation and we now have a heating system that is working well and fully meeting our requirements. Many thanks to Phil Vos and his staff. We have no hesitation in recommending Vos Heating.